This chapter explores the imagination in the early modern period as a multifaceted and deeply problematic faculty that was conceived as both a distorting mirror and a corrupting messenger. Drawing on a broad range of Renaissance and early modern thinkers on disciplines such as philosophy, poetics and esotericism, Kallenbach demonstrates how imagination in this period was characterized by several coexisting but conflicting views. 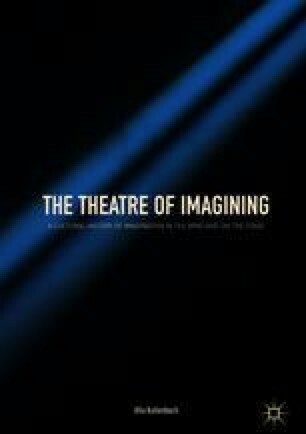 Imagination was regarded as a central agent of cognition and the gateway to the faculty of reason, but it was at the same time a precarious, unreliable and potentially even dangerous and treasonous faculty—also in its poetic capacity regarding theatrical feigning. Theatrical feigning might infect the senses and the mind of the beholder—or it could convey an ideal truth.